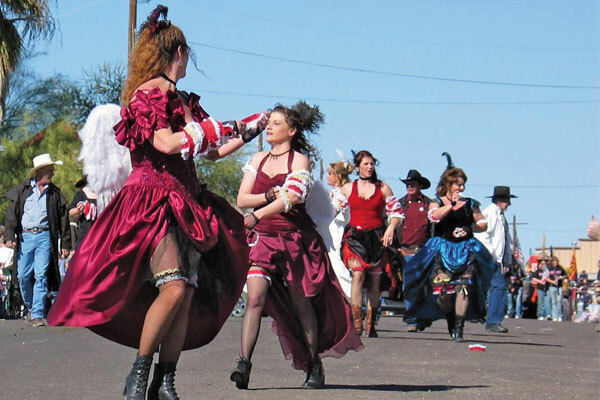 Top 10 True Western Towns of 2011 Our sixth annual award for Western towns that are the benchmark for preserving history. Here’s a bit of trivia about Dubois. When it was founded in 1886, the locals called it Never Sweat due to the dry heat … and cold. Seriously. But the U.S. Postal Service refused to accept that name. So citizens renamed it Dubois after a controversial Idaho politician (who was on the Senate postal committee). To spite the guys in Washington, they mispronounced it (“Dew Boys”). That’s the Western spirit! That spirit continues today in this rugged territory, located in the Rocky Mountains of remote west central Wyoming. This is a place where one of the largest herds of bighorn sheep roams nearby. It’s where hunting and fishing are major attractions, essentially doubling the local population each summer. It’s cowboy country, where Butch Cassidy bought a ranch in 1890 (and, failing to make a go of ranching, eventually turned to a life of crime). The outlaw also hired on at the nearby EA Ranch, which still operates as a working dude ranch today (as do the historic T Cross and CM Ranches). 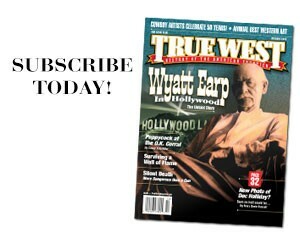 When Butch came into town—and he did often—he bought food staples at Welty’s General Store. Welty’s doesn’t sell food anymore, but it does stock clothing and sporting goods. 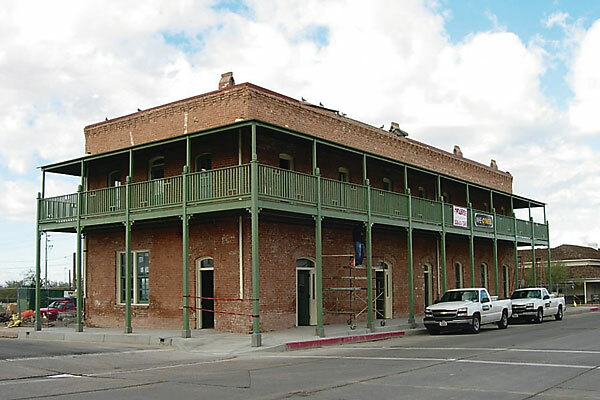 Much of the formal historic preservation work is conducted by the Dubois Museum & Wind River Historical Center. It is a living history operation that offers tours to see nearby petroglyphs, teepee rings and sheep traps made by the Sheepeater Indians (also known as Mountain Shoshones). The center also displays seven historical cabins on its grounds, including the first Dubois High School, Hays cabin, Swann’s Service Station, Cowboy Bunkhouse, Saddle Shop, Forest Service Cabin, the Thomas Holms Homestead Cabin and the Tie Hack Gallery. The National Bighorn Sheep Interpretive Center is also located in Dubois. It educates the public about the biology and habitat needs of the Rocky Mountain Bighorn Sheep and encourages active stewardship of wildlands. Now, if you’re wondering how a town of just 962 inhabitants can rate so highly, check out its 2010 accomplishments. The Dubois Main Street program collected $37,000 in funding for two preservation-based projects. The first was for the development of the town’s design guidelines, aimed at better guiding private owners of historic buildings and sites ($17,000). The second allocated $10,000 to hire a historic consulting firm to nominate three or four downtown buildings to the National Historic Register. In August, a feasibility study was completed on the renovation of a two-story wood structure in the middle of downtown. Officials received $2,500 to fund that study. And last year, a Utah State archaeology crew took over a prehistoric site that is unusual in the Middle Rockies due to its high elevation (nearly 11,000 feet) and its size (47 dwelling pads). The crew originally discovered the site in the Wind River Mountains in Dubois in 2006. On top of all of that, the town regularly preserves its local heritage at annual events, ranging from the Swedish Smorgasbord to celebrate the Scandinavian heritage of loggers to Pack Horse Races to the Circle Up Chuckwagon Dinner Show to summer rodeos. It’s obvious that the locals put a lot of sweat equity into preserving their town. So maybe that original name of Never Sweat was never accurate anyway. 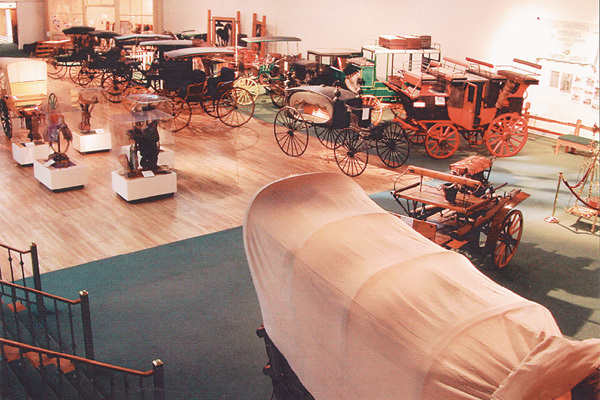 Hubbard Museum of the American West Gunfighter series comes to historic Lincoln area.